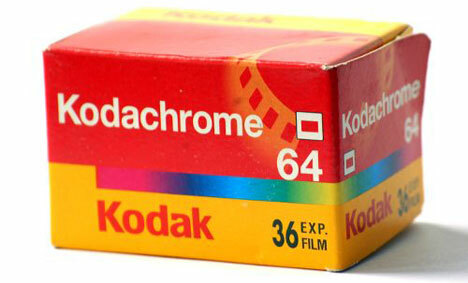 I remember using Kodachrome film years ago. My pictures were alive with a depth of color. There was something special about using Kodachrome, but it is now gone. The digital age is here to stay. Kodachrome film is no more. The vibrant color of my workplace is also fading. While I prefer to write of the positive and possible, I must also write of those dark days as a leader. My business organization is changing. Indeed, there is the positive and possible as a new company is forming. There is also the piece-by-piece deconstruction of our past. I live in the ruins of that deconstruction. Today more terrific people (employees) are leaving due to yet another reduction-in-force. Excuse my deep use of metaphor today. Memories of Kodachrome film and its terrific color palette seem appropriate and remind me of days of same at work. For a time I had almost too much depth of color here in the office. Yea, I had my favorites. Yet all the colors came together and the results were terrific. We were proud of what we created. Well stated Michael…brings back lots of memories. I loved to shoot Kodachrome in my old Mamiya Sekor (sp?) 35 mm camera. Colors were warm and quite stunning. As leaders, having a heart for people never stops. Especially during the sad days when people are leaving. In the digital age, we can help employees find God-given vibrant Kodachrome “colors” in their hearts. Inside light and color brings forth outside vibrant color. Ah, Kodachome = in living color (it’s still there)! So very well said. Thanks for the warm thoughts. Excellent analysis….lots of feeling which is also color of a different kind! Keep up the great work…. Thank you! Yes, the various colors of life.